Lava and Kusa were born to mother Sita at Sage Valmiki's hermitage. They grew up learning the essence of Ramayana and master the art of war by using divine weapons from the guidance of Sage Valmiki. The story is about their thrilling childhood experiences blended with action, comedy and enchanting magical powers. On invitation the twins set off to Ayodhya to recite Valmiki Ramayana in front of the King Rama. 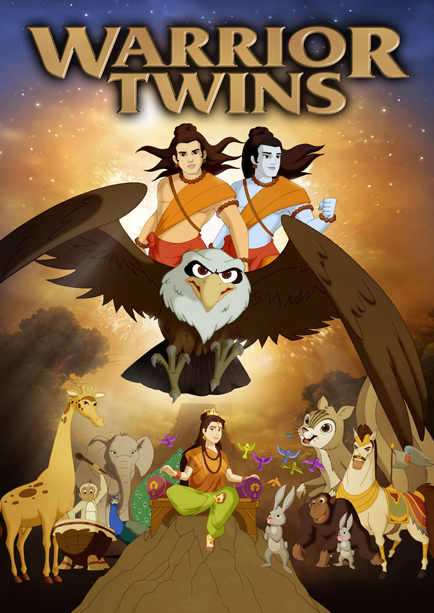 The twins learn that Mata Sita was sent to vanvas by Lord Rama. They return from Ayodhya with anger and rage towards lord Rama. Lord Rama performs Aswamedha yagna for the propriety of his kingdom. The twins happen to read the declaration of Lord Rama inscripted on a golden plate on the forehead on the horse, and arrests the horse. They hope that this would bring Lord Rama in front of them, so that they can question him regarding the ill treatment given to Mata Sita and to debate on Lord Rama's most acclaimed principle of dharma. They arrest the Aswamedha horse thus inviting the mighty Ayodhya Empire to a war against them.